CRAZY COOL GROOVY!!! 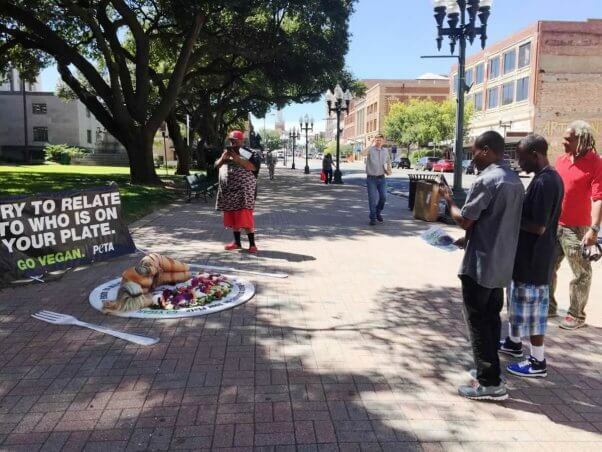 : I LOVE 2 EAT #132: WOMAN PLATES HERSELF For PETA In DALLAS & SHREVEPORT To PROMOTE VEGANISM!!! 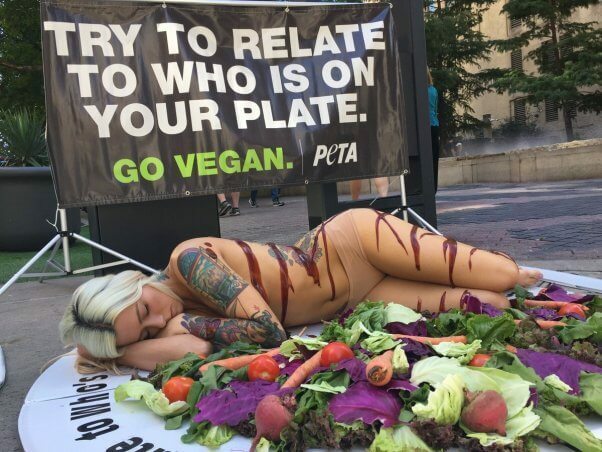 I LOVE 2 EAT #132: WOMAN PLATES HERSELF For PETA In DALLAS & SHREVEPORT To PROMOTE VEGANISM!!! WORLD VEGETARIAN DAY occurs annually on OCTOBER 1, to kick-off the month of October as WORLD VEGETARIAN MONTH in an attempt to inspire people towards VEGETARIANISM and VEGANISM!!! The folks at PETA (PEOPLE For The ETHICAL TREATMENT Of ANIMALS) took its “Try to Relate to Who’s on Your Plate” campaign to DALLAS, TX, and SHREVEPORT, LA. TRY To RELATE To WHO IS On YOUR PLATE was a one-day campaign to promote the message to people that animals raised and killed for food are capable of feeling joy, love, pain, and fear—just as humans are. They value their own lives just as much as humans do and don’t want to suffer or be killed. And every vegan saves the lives of more than 100 animals every year.